I have to admit that I wasn't impressed with the SMASH folios the first time I saw them mentioned at Studio Calico earlier this year. Everyone seemed to be in love with them and impatient for them to go up for sale. 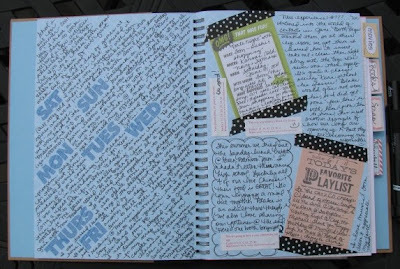 I didn't see the need to take things out of my junk drawer and "smash" them into a journal. I also wasn't interested in creating an "inspiration" journal either. Then I happened to catch a promotion on the SMASH blog and got a free mini SMASH journal in the mail. It was cute. But, it sat on my table where it remains today. Empty. Last month, Studio Calico finally had the SMASH items in stock and everyone on the board seemed to be dying to get their hands on them. I was working on "reveal day" and missed the noon presale. Usually all the new things are gone quick, so when I checked back later that night, I was surprised to see some of the SMASH folios still available. And, they were only $12.99. I clicked on the examples for each one and although I love red, I wasn't crazy about the pages in the red book. The black book did interest me. I added it to my cart. The first pages I completed are actually the second spread in the book (after the title page that I'm still avoiding...). I had spent the previous Saturday in the ER with my husband and thought the "just lovely" page pretty much summed up my feelings. 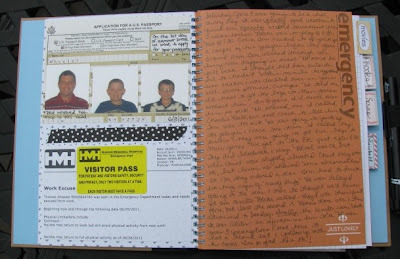 I added "emergency" on the side of the page using Sassafrass Lass stickers.The facing page documented our trip to get passports for the boys. I used their extra photos on my page. I also added "memorabilia" from our trip to the ER. 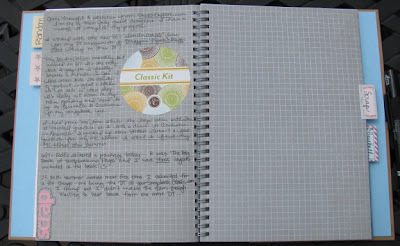 Backing up...I used Studio Calico day rub-ons to journal about our first week out of school. Then I added in some of the SMASH tablet cards to document a date night with Tom, my current playlist, and I journaled about the boys getting contacts and us trying a new restaurant. Had to include our fortunes, too! 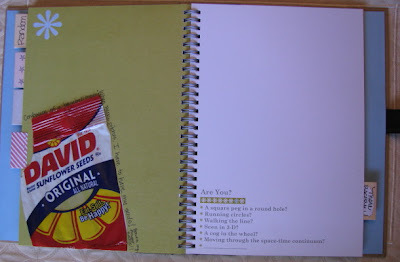 I thought the grid/ruled spreads would be great for listing movies and books of my summer. (If the book doesn't fill up by summer, I'll just keep it going until it is full.) So far my "movie" section is a little short, but it's still early. And what is my summer without baseball? Our baseball "news" quickly filled up two pages. 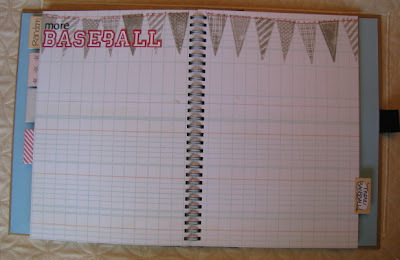 So, just this morning, I had to add a new section "more Baseball"... (Stamps are from Studio Calico kit.) One of my favorite pages so far is actually on a spread that was one of my least favorites. I had no idea how to work with the preprinted photo on the spread below. So, I started covering it with memorabilia. 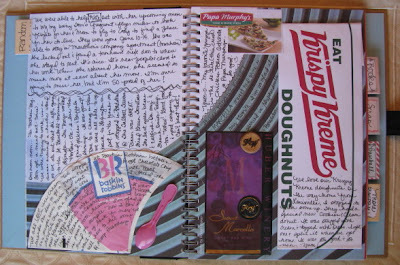 I added a hat from Krispy Kreme and journaled directly on it. I ripped the wrapper off my ice cream cone at Baskin Robbins and journaled on it too. The sample spoon from that night (I tried a new flavor that I LOVED) is also included. 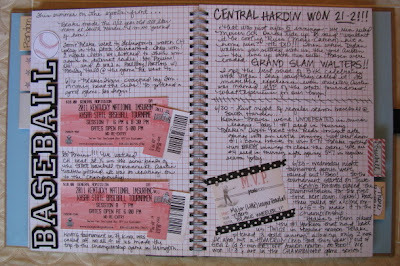 In the "white space" I journaled about a favor we did for one of my sisters and then about eating out for Father's Day. To finish off the spread, I added a photo of my favorite pizza (after I brought it home) cut from a coupon flyer and finally the label and top of the cork off my favorite wine when I finished a bottle this week. My last page to share is one I just started this morning. I was actually going to toss the package from my sunflower seeds, but realized it tells a big story. When Blake pitches, I have to have my seeds. They save my fingernails. And keep me from chewing on the inside of my lip. They help me survive my nerves! I'm really glad I made this purchase! It's a work in progress and I'm having fun with it! Hi Amy! This is really cool! In the back of my planner I've been keeping track of Gabe's summer activities. And I'm hoping to blog soon about the books I've read since getting my kindle! So how is the new Stephanie Plum book? I think I took a break around book 6 or 7, and will go back to them sometime! Have a great weekend! I love what you are doing with it. 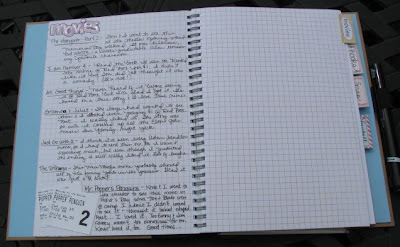 Amy- love what you have done so far with your SMASH book! I have one too, and I have been filling it with random things and some photos I love, some ideas for creating and house decorating- sort of a "catch all"! Have fun! Fabulous Smash book! I like the idea of documenting your summer.I'm thinking about getting one. 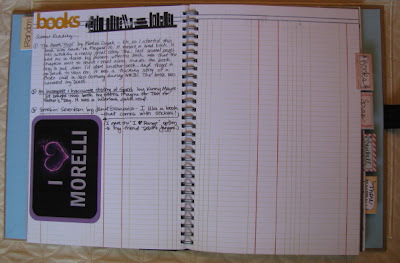 I like seeing what you have done with the SMASH book. The whole concept reminds me of scrapbooks 30 years ago. 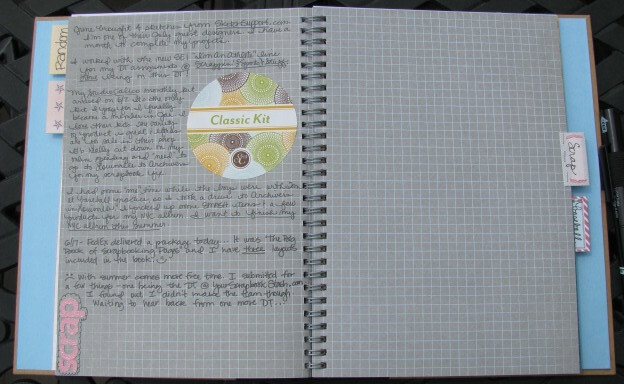 Your journal is adorable, Amy! Looks like you've been very busy with lots of baseball this summer! Congrats on your Big Book pub! Finally got through the whole book. Too fun! Enjoy your 4th!